As the Asia Pacific experiences unprecedented urban growth, architects will play a critical role in shaping the future of cities across the region. The diversity of its people and countries will be explored in the Asia Pacific Architecture Forum, taking place in Brisbane from 1 to 14 March 2016. 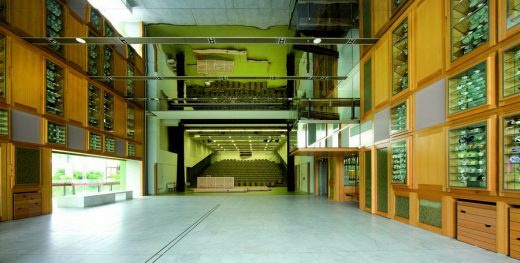 SLQ Auditorium 1 and Queensland Terrace, State Library of Queensland. Staged at venues across the city, the forum is presented by founding partners State Library of Queensland and Architecture Media. 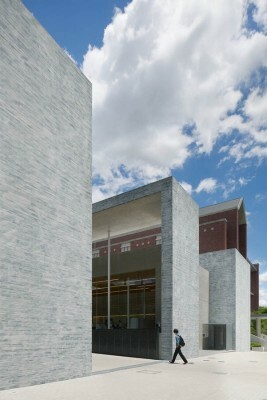 It comprises exhibitions, installations, workshops, lectures and a symposium. Projects from architects in Malaysia, Japan, Indonesia, Vietnam, China, Taiwan, India, New Zealand, South Korea, the UAE and Australia will feature in the two week long event. Architects, designers and planners from across the region are invited to attend the ArchitectureAP Symposium, a one-day conference on Friday 4th March. Delegates will come together to explore innovative thinking and transformative projects presented by keynote speakers who reflect the diversity of the countries, cities and people of the region. 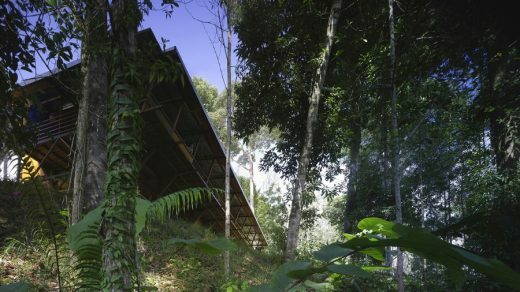 These include Richard Hassell of WOHA (Singapore), Serina Hijjas of Hijjas Kasturi Associates (Malaysia), Fumi Kashimura and Ikko Kobayashi of Terrain Architects (Japan) and Andrew Patterson of Pattersons (New Zealand). Other highlights from the programme include Sherman Contemporary Art Foundation’s (SCAF) fourth iteration of Fugitive Structures from 1st March until 15th May. 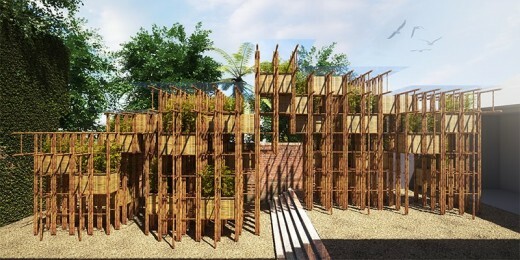 Featuring a bamboo ‘green steel’ structure by Vietnamese firm Vo Trong Nghia Architects (Vo Trong Nghia Architects: Green Ladder), the pavilion aims to reconnect city dwellers with the natural environment. The multi award winning Vietnamese practice, in association with BVN Architects, will push the limits of strong, lightweight and highly sustainable traditional building materials in their innovative construction. The role of architecture in shaping nine cities from the Asia Pacific region and host city Brisbane, will be showcased at Museum of Brisbane from 19th February until 22nd of May at the Living in the city: New architecture from Brisbane and the Asia-Pacific exhibition. Projects from international practices including the iconic 431-metre high Chongqing IFC Tower and Shenzhen’s Affordable Housing Design from China, the Java Supermall Apartment and Hotel Tower, Semarang, Indonesia and House in Suwayama from Kobe, Japan will be shown. The forum is a collaboration between founding partners Architecture Media and State Library of Queensland; presenting partners Sherman Contemporary Art Foundation, BVN and Museum of Brisbane; event partners University of Queensland School of Architecture, Australian Institute of Architects and Artisan; in association with QAGOMA – 8th Asia Pacific Triennial of Contemporary Art and Maison & Objet Asia. Architecture Media is an online and print publisher and events company focused on the built environment – practitioners, clients, suppliers and the wider community. It is an associate company of the Australian Institute of Architects. A vibrant and innovative 21st century library, State Library of Queensland (SLQ) is a vital community resource – a place for sharing, learning, collaborating and creating, in person and online. SLQ collaborates with the community to deliver vibrant, dynamic programs and initiatives. SLQ values access, sharing, diversity and the community, and is dedicated to inspiring Queensland’s creativity forever. SLQ’s Asia Pacific Design Library is a shared space (physical and digital) for industry, academia and the public to come together in the generation of new knowledge around design in the Asia Pacific.